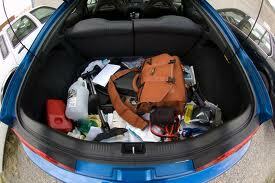 First, I must let you know, as I also told my Facebook fans, I made the mistake of Googling “Junk in the Trunk”. There are obviously different meaning for that term. By the way, I really need to know how the filter out the sexually explicit images from Google Search. Parents, if you haven’t already, I would strongly suggest you check into it. I don’t have any young children now, so I am sure that I am WAY late on this one…. Moving right along! 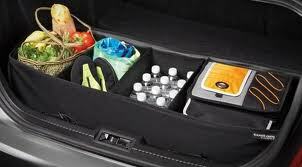 The trunk of car or your car as a whole is no different than a room in your home or office, when it comes to organizing. 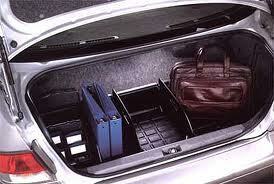 You need to know what is in your trunk and be able to put your hand on what you need quickly. The process of sort, purge and organize still applies. Clutter is clutter, no matter what part of your life it occupies. This entry was posted in Professsional Organizing and tagged Clutter, Google Search, Junk, junk in the trunk, Life, Organizing, organizing tools, Trunk. Bookmark the permalink. Some good, practical advice. Thanks. Thanks so much. I am glad you found it useful! Ooooh! I love how organized that looks! Don’t you just love order? Thank you for stopping by my blog. I do love order! …. and I truly enjoyed your blog. Tools of the trade reside in my trunk.